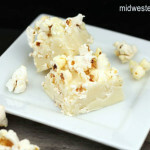 I first saw an idea for a Kettle Corn Fudge Recipe over at the blog, Fields of Cake. I was intrigued, mostly because it combined three things I love into one tasty little bite. Making fudge is a bit of a process for me, because who wants to stand over the stove waiting on achieving the correct temperature with a busy 2-year old running around? Sometimes I can be a bit of a hazard in the kitchen, so I knew that I needed to start searching for a simple recipe that would also be quick. 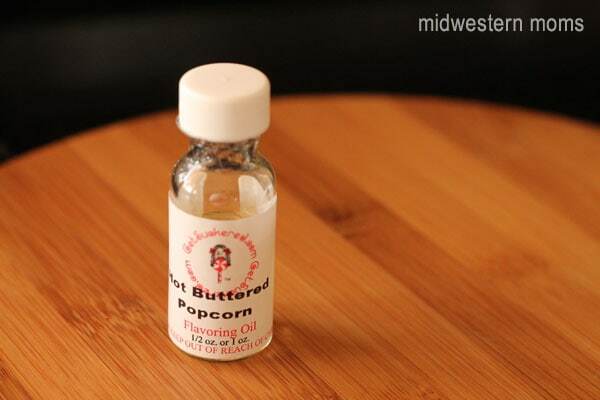 The key to this recipe is the product Hot Buttered Popcorn Flavoring Oil by Get Suckered. I purchased mine from Amazon. Warning: You may spend the next hour looking at all of the types of flavoring oil they carry. They are addictive! Line an 8×8 baking dish with aluminum foil. In a microwave safe bowl, pour chips and condensed milk. Microwave (yes, microwave!) for 2 minutes. Remove and stir. Microwave for an additional minute to melt the rest of the mixture. Stir in the flavoring oil. 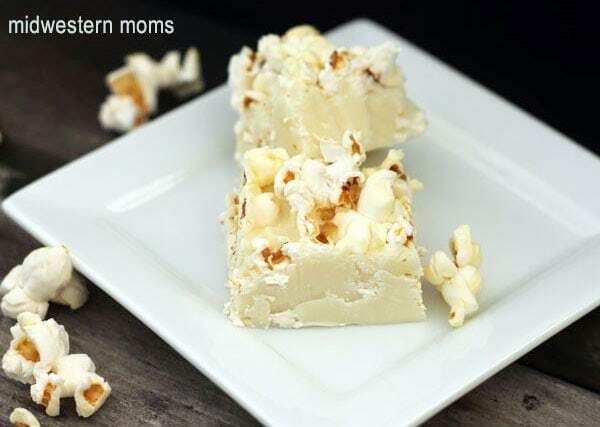 Pop a bag of popcorn while you pour the mixture into your foil lined bowl. When the popcorn is done popping, pour into a bowl. Place a few handfuls on top of the fudge and press down while the fudge is still cooling. Remove the fudge from the container by grabbing the foil and lifting it out. Cut into squares and serve. I actually used a pizza cutter to cut these into bars. 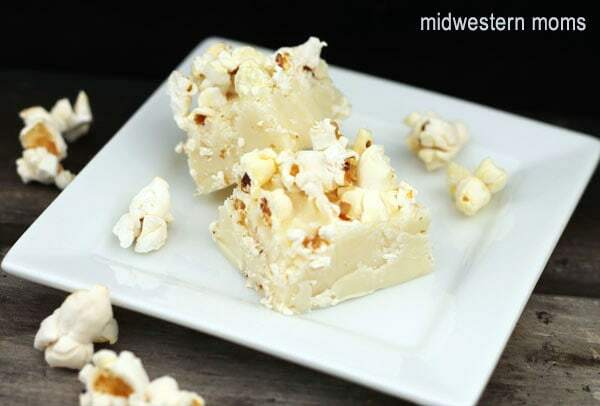 They are hard to cut with just a knife with the popcorn on top. Sorry, they aren’t cut the straightest. I was more excited to get them out and start eating them than I was photographing them today! What a great, easy adaptation! Thanks for the shout out 🙂 Get Suckered IS addictive isn’t it? I think I have 20 different flavors just waiting to be played with! Thanks for stopping by! Yes, the flavoring oils are addictive. I have some of the chocolate mint and used it to flavor whipped cream cheese icing for cupcakes the other day! GASP! This is so easy and sounds delicious. My kids would go gaga over these. I’m going to have to try out this recipe soon!